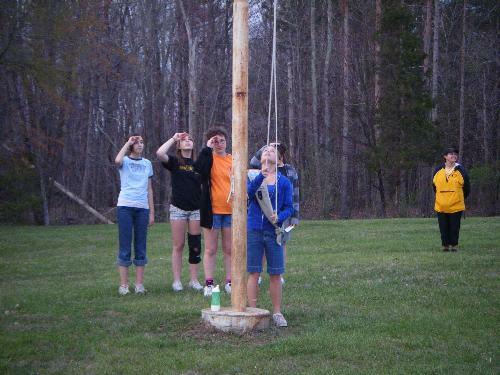 Centerville Service Unit is dedicated to providing Girl Scouting to girls who live or attend schools in Centerville, OH. We have Girl Scout Troops in grades K through 12 and are seeking new girl members and adult volunteers for all age-levels. To better support our girls and adults, we have administrative volunteers who support girls in Stingley, John Hole, Driscoll, PVN, Cline, Normandy, Weller, PVS and Incarnation. As girls progress into Middle and High School, they will continue to rely on their service team members based upon the elementary school they attended. Girl Scouts of Centerville are also supported through the professional staff at our local Girl Scout Center. Girl Scouts of Western Ohio serves approximately 55,000 girls in over 32 counties. We are dedicated to encouraging all girls to reach their fullest potential in keeping with the values and ideals of the Girl Scout Promise and Law.